I am learning that I rely a little too much on my smart phone. As a result, I may be getting dumber. Today was 20-week-Level-2-3D-ultrasound day at the Amplatz Children’s Hospital in Minneapolis. Lovely place. Not such a lovely location. But after cutting a few folks off while staring at my phone, deciphering directions, circling the block, and driving through all twelve levels of the parking ramp, Jason and I finally found a spot on the roof. We take the elevator down. Walk four snowy blocks to the hospital entrance. Ask the smiling young greeter what level the maternal fetal medicine clinic was on. And receive a blank stare. Ma’am, that clinic is on the other side of campus, across the river. Uh oh. Jason and I exchange glances. I check my phone for the time, which screams 5 minutes late. Okay. Can we walk there? Well, it’s about two miles. The greeter looks at my stomach. I look at my high heeled boots. Hm. Do you have a shuttle? Yes, but the next one isn’t for another hour. My world falls with all the weight of a dead elephant. I second guess everything: my ability to function as a grown up, read a smartphone map, drive around a car full of kids. What was I doing? Who let me out of the house? The truth is, I am nervous about this appointment. But more than that, I am nervous about what seems like the heavy responsibility of carrying two individual lives. Remember when I talked about twin to twin transfusion early on? This appointment would be the first determining factor in whether or not that was starting to occur. It would also give us an in-depth look at all the inner workings of each baby’s development. Plus, we’d get to see their faces. Not just the black and white profile outlines we were used to, but the actual lips, eyes, noses. It was almost as though we were being allowed in sacred, and somewhat forbidden territory. Fifteen minutes later, we checked in at the right clinic, and stared in awe for the next hour as the ultrasound technician carefully went over every inch of our growing babies. We heard doppler readings off their hearts and umbilical cords, saw every perfect pocket of fluid in their bodies, and marveled as they measured thigh bones and fingertip length. All the numbers added up. The babies were healthy. I don’t know why, specifically, the 20 week appointment was so nerve wracking. Maybe it was all the talk of level 2 and the new location. Maybe it was the official half way mark. Maybe it was seeing the babies in 3D, which was not magical at all, but actually, (and yes, I really mean this,) pretty creepy. Maybe it’s because even when I have faith that things are going to be okay, I don’t completely trust that they will be. This is not crazy. Sometimes, things aren’t okay. Sometimes babies die with no explanation, airplanes nosedive into cornfields, and local stores get robbed at gunpoint. This is not a perfect world. But then I think back to the apostle Paul in Philippians 4:13, saying I can do everything THROUGH HIM who gives me strength. Paul didn’t worry about his own inability to control, or make everything turn out perfectly. 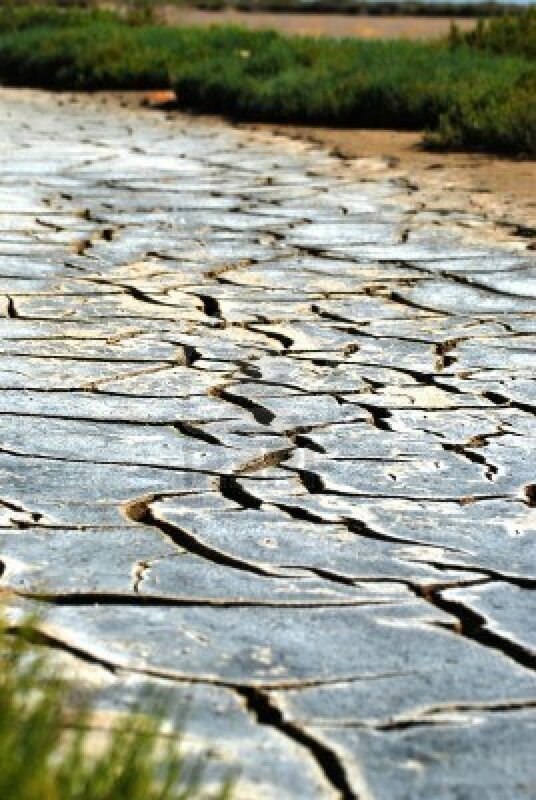 He recognized his own efforts as a dry river bed, ineffective and useless until it welcomed the spring thaw pounding down from the mountains above. I guess what I’m trying to say, in my own imperfect and stumbling way, is that here at 20 weeks, I am a riverbed waiting for for something to go wrong, instead of waiting for rain. I have faith the water is coming; I also feel a little cracked and crumbly on my banks. But I don’t want to spend this entire pregnancy worried about everything that could happen. I will drive myself (and everyone around me) batty. So here is what I know today: at the half way leg of this race, the babies are healthy. I am healthy. God has, and will continue to provide. And more than that, He will be the source that fills my dry river bed and turns me into a singing stream. If I have faith to wait for it. This entry was posted in Weekly Pregnancy Countdown. Bookmark the permalink. ← What’s for supper? Crab cakes!